*2. the Tryout will take place like this you will chose one Deck it can be any deck of your choosing as long as it doesnt contradict the above rule , then yu will duel a series of 3 duels against 3 diffrent test decks this shows exactly how good you and your deck building skills are , *obviously if yu make it past all 3 yu pass , yu must defeat the first Test Deck to Advance if yu do not you will Fail the Tryout the Test Decks will be Picked at Random yu do not have to beat all 3 to pass but give it your best effort and see how far yu can go depending on the results yu will eighter pass or fail * are yu up for the challenge? P.S.- This is NOT A Match duel. It is NOT a Single duel either. This is more of a "Survival Mode" sort of method. Keep this in mind during the test. NOTE: The "2nd Chance Rule" is optional. If you lose the 1st Test Duel, you can choose whether you want to enforce this rule or not. Should you choose not to enforce this rule OR if you do enforce this rule and lose the 2nd Chance Duel and wish to tryout for the team again, you can request a re-test at least 3 days after your previous test. 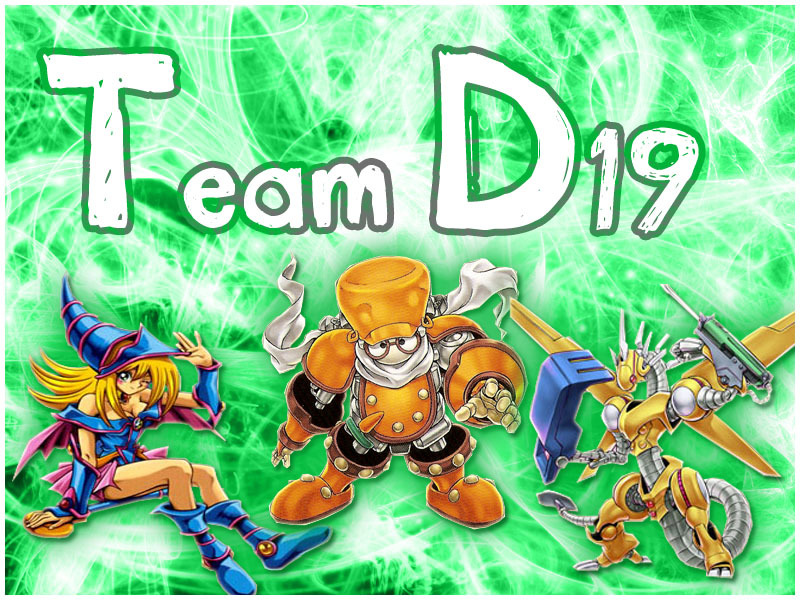 NOTE 2: Any current D19 member can test you.